It may come in and out as I change and play with the audio settings. But I will be streaming Call of Duty: MW3 all night. Not sure if anyone tried to watch - but I didn't have such good results. I had everything wired to the router (ie no wireless connections) and the stream was very choppy and slow. 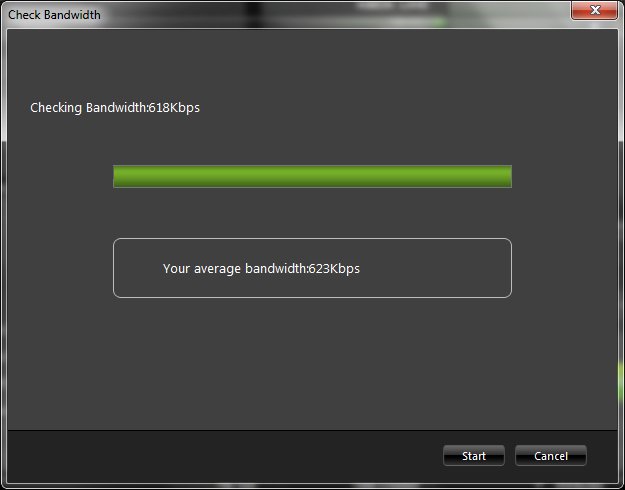 I even selected the lowest bandwidth (240p) and it was extremely choppy - pretty much unwatchable on Twitch.TV. I have Comcast Cable with at least a 2 Mb upload. I figured this would be sufficient to run with the lowest possible resolution. I'm not sure if it was Twitch.Tv or the streaming capability of the Roxio HD Pro - but it didn't work very well. I'll try it again when it's not "Prime Time". Yea we need to contact technical support to make sure they know about this.. it seems they never tested their software streaming. I'm trying again right now. Once again. No go @360p streaming. 360p just lags up so much that it is unusable. Everything seems to work fine until I'm actually in a game and things are moving around. I'm going to try it again on the lowest setting - 240p. Will report back. 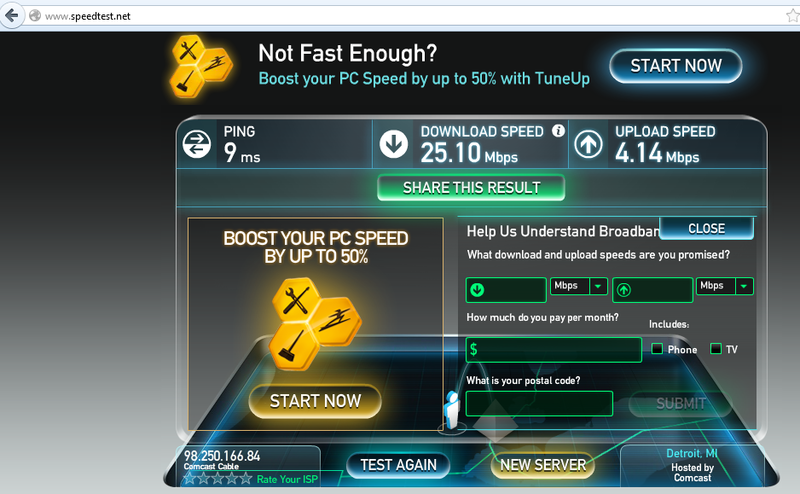 I'm pretty sure it's not my internet speed since I just ran the speed test and I'm getting 25mb down/4mb up. That should be plenty don't you guys think? No go at 240p. Same thing. Too laggy. 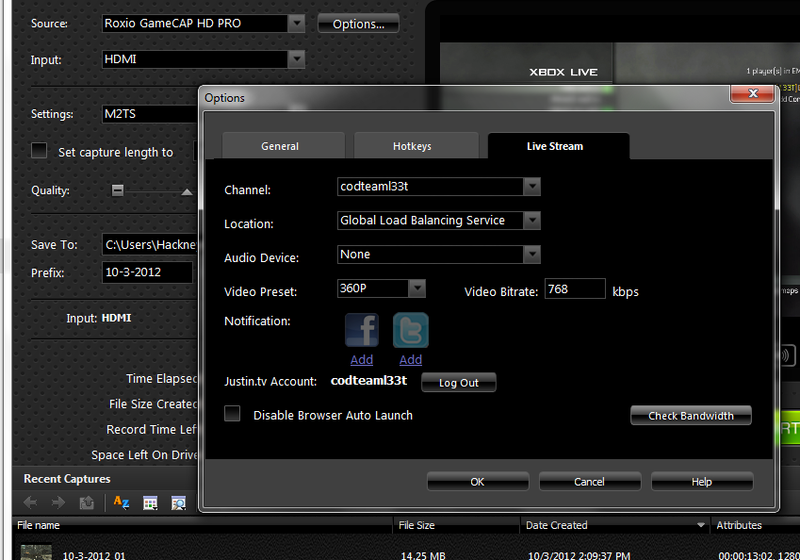 If Xsplit would work with the Roxio HD Pro, I'd try a different service... like ustream or something.. But alas - it does not. I've created a support ticket/case with Roxio via email. I hope we get some resolution on this. The Service Pack 1 update has aleviated man of my issues. I do still get intermittant freeze ups during streaming - this usually goes away if I stop the stream and re-start it. My bandwidth is a 4mb upload stream but the Roxio bandwidth tester only shows me around 600-625Kbps - which means I should only stream at 240p (or 512kbps). The next step up is 360p or 768 kbps. Change your location to where you live or some server thats closer to you and that will fix it. And restart the program if it doesnt work well. It's not just you... I have 30 down and 5 up and use the closest twitch server they offer and my 720 stream tests all are very so so results. I used to stream console before on the same PC with a Black magic Intensity Pro and it was 100% crystal clear etc. This is one reason we need them to get with Xsplit and work on a codec so the 2 programs will work together correctly. the streaming setup while it is very easy is also very lacking. The card is great however at capturing footage for recording to say like youtube etc. If they get the xsplit thing sorted out.. this card wil become even more popular on the market and sales will grow. Can you share the url for your last stream? Does those videos have the same issue as they were streamed? Notice the quality difference.. but same house same internet and same PC etc. I love the roxio card... We just need the Xsplit working together thing to get resolved and all will be right in the world. I'll even free advertise my stream for roxio but I can only do so if the stream looks 100 percent crisp and clean etc.